There are a couple of within-the-decoder LNBf settings that need to be carried out before your decoder is ready to detect satellite signal. In fact, before tracking your favourite satellite channels, there are some basic decoder settings that you must manipulate otherwise you will put yourself in a position whereby you will not detect any signal. In this tutorial, This tutorial will do justice to how the within the decoder LNBf settings for Ku Band and C Band frequencies are done. As an installer, your job is not complete if you haven’t scanned for the channels you just received the signal for. 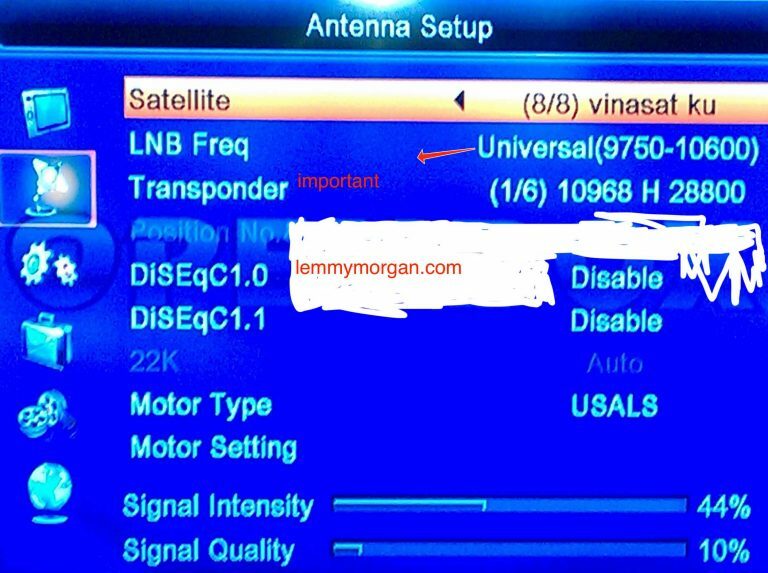 In a layman’s language, you need to set the specific LNB settings from within your decoder before you can scan the channels. In most cases, the default is for a Ku Band LNB. Now, what happens when you are scanning C Band channels? D you know that your signal quality might not pop-up if you have the wrong within-the-decoder LNBf settings? For every ku band there is a default frequency. there is what we call LNB frequency which must carry the right valueS. so anything short of this will be invalid. to get this configuration you will need to go to MENU on your remote control And Navigate to Installation and locate either Dish setting, or Antenna settings/ SETUP there you will get the window to configure your desired band. LNB Power: the LNB power should always be on. You may also need to manipulate your DiSEqC settings if you are using a disecq switch. To do this, I already wrote a guide here. You can avail yoursel of it.